Again I dwell on the splendor and sweetness of the Eucharistic feast – the mysterious fulfillment of the promise that we would have joy in fullness regardless of our circumstances. If we want to explain this sentence in an obvious and ordinary way, we rightly assert that it appears as a just exhortation by which the Preacher admonishes us to embrace a simple rule of life dedi­cated to sincere faith in God and joyfully eat bread and drink wine in peace of mind; not to slip into evil conversations, nor wander into roundabout paths; but rather to dwell always on good things and, insofar as we can, benevolently and kindly come to the aid of the poor and needy. We must abandon ourselves precisely to those sentiments and actions in which God himself takes delight. However, the anagogical explanation brings us to a higher knowledge and teaches us to consider the celestial and mystical bread which has come down from heaven and brought life to the world; and with a right heart to drink the spiritual wine, namely, that which issued from the side of the true vine immediately at the moment of his saving passion. Concerning these, the gospel of our salvation says: Taking bread and giving thanks, Jesus said to his disciples and Apostles: Take this and eat it: this is my body, which is sacrificed for you in remission of sins. Similarly, he took the cup and said: All of you must drink from it, for this is my blood, the blood of the covenant, to be poured out on behalf of many for the forgiveness of sins. Hence, those who eat this bread and drink this mystical wine really rejoice and exult and can exclaim in a loud voice: You put gladness into my heart. In the fear of God and with faith draw near. Receive the Body of Christ; taste the fountain of immortality. Alleluia! Alleluia! Alleluia! I love the Divine Liturgy. I find in it a fathomless treasure. It, along with Holy Baptism, constitute the normative and essential cornerstone of the Holy Tradition — our environment of transformation — the Way, Truth, and Life. This morning I am blessed by the “way” in which it encourages us and provides the very opportunity for us to be nourished by the example, companionship, and voice of a great cloud of witnesses with whom we share our discipleship. The journey, the pilgrimage of our salvation (our camino of transfiguration). See, among so many other Biblical passages, Hebrews 11-12. This is a company that exhibits the characteristic of mutuality We give and receive the transformative power of fellowship in the Spirit. The head of this great company of witnesses is Christ Jesus Himself. He was not immune to the need for the encouragement of those with whom He shared life in the Father (see Matthew 26). with water from the rock. Our Lord shepherds us by, among other things, being an example to us of life in the Father and, by the indwelling of the Holy Spirit, offering us this very same example in the life of our brothers and sisters in the faith not only in our own generation but across the boundaries of time and space. This example is Eucharistic food for us. 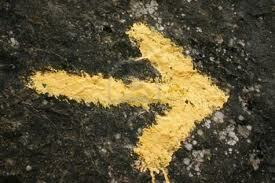 By it we are nourished to walk the way (the camino of sainthood). Those who already have their feet firmly fixed on the rock should be a model for the faithful: As St Paul says, become a model for the faithful. The faithful themselves are just. They take notice of those who outstrip them in goodness, they imitate and follow them. How do they follow them? The just shall see, and be afraid. They shall see, and be afraid to follow the wicked ways when they see that some better people have already chosen good ways. They say in their heart, in the same way as travellers are accustomed to, when they notice others walking on the road with supreme confidence while they themselves are still unsure of the road, and in two minds about which way they should go. They are not going this way without good reason, when they are going to the place where they want to go. And why are they going this way with such confidence other than because it is dangerous to go that way? Therefore the just shall see, and be afraid. They see a narrow road on the one side, they see a wide road on the other. On the one they see only a handful, on the other quite a crowd. But if you are just, do not simply count them, but weigh them up. Bring a well-balanced pair of scales, not one you have adjusted, because the name you yourself bear is ‘the just one’. The just shall see, and be afraid – this refers to you. Do not spend your time, then, counting the hordes of men and women who take the wide roads, filling tomorrow’s circus, celebrating the city’s birthday with their shouting, while at the same time befouling the city with their evil living. Do not follow them, then! There are many of them, and who could possibly count them? But there are only a few who take the narrow road. I am telling you, produce a pair of scales, weigh them. Compare the amount of chaff it takes to balance a few grains. This is what the faithful just who are follow­ing should do. Webster’s Dictionary defines the word “crucible as: “a place or situation in which concentrated forces interact to cause or influence change or development.” Crucible is a fitting synonym for the Holy Tradition. It is a stable container in which transformation can and does occur. Other definitions include the details of heat, wilderness, wild animals, fear, going beyond the edge, etc. Now if any one builds on the foundation with gold, silver, precious stones, wood, hay, straw — each man’s work will become manifest; for the Day will disclose it, because it will be revealed with fire, and the fire will test what sort of work each one has done. If the work which any man has built on the foundation survives, he will receive a reward. If any man’s work is burned up, he will suffer loss, though he himself will be saved, but only as through fire. (1 Corinthians 3.12-15). Our life of discipleship involves deliberately placing ourselves in a crucible in order that that which we desire most – transformation – can occur. It includes the heat of the desert – the wilderness – challenge in a variety of forms. Crucibles always have an exit sign. We can opt out in a variety of ways. I happen to believe that that is part of the crucible’s terrible power. It invites unceasingly rather than compelling or forcing. It is, therefore, a transformation we choose (“choose this day…” [Joshua 24]). How does this happen? It issues forth from the realization, after much self-effort (noble attempts though they be) we realize that we are incapable of changing ourselves. We realize that it is not a matter of not exerting effort but of a different kind of effort that is synonymous with yielding and letting go and co-operation within a larger environment of effort – God’s effort. Our effort, first and foremost, is redefined and re-created. It is “in-breathed” within this crucible with the effort of God. The transformation is inner and outer in its operation. That is to say, it is about who we are and what we do outwardly and who we are and what we do inwardly. It is a matter of physicality and spirituality. It is incarnational. Transformation involves not only a simultaneous material and spiritual operation but the union of the two. In reality, God is not accomplishing two purposes, one material and the other spiritual, but one action that is incarnational in nature and transformational in character. This brings me to the point of offering you a reflection I came across recently that dates from 2007, by Rob Des Cotes, director of Imago Dei (take time to visit the website here). In this reflection you will find the reiteration of some of the themes I have just mentioned, in much more eloquent and reflective form. (Rob’s writing never fails to stir me deeply and engender an encounter with the Lord. Bravo, Rob!!) I hope you are as blessed by what follows as was back when I first read it. It is a dismayingly common experience, having finally settled down to pray, to find that you are not able to do so. The mind seems to suddenly become more active than usual with a thousand concerns, all unrelated to our goal of prayer. Why is this? Is there any hope that we can ever adapt to the Spirit of stillness and become what prayer requires of us? The late psychiatrist and spiritual director Gerald May thought so, and in his book, Addiction and Grace, offered a physiological explanation of what takes place within us as we set out to pray. Over the course of our lives, each one of us has established what our bodies understand as their “normal” inner disposition—a particular equilibrium that it strives to maintain. Even if the “normal” that we live with is an uncomfortable one, it is the one that we have become habituated to and any attempt to alter this inner state is going to be met with physiological resistance. We are, in a sense, “addicted” to whatever constitutes our norm. As Gerald May puts it, “I am attached to whatever makes things normal to me. And I don’t let that normality change without a struggle.” He identifies the struggle involved in any attempt to transform our norms as similar to that of someone withdrawing from an addiction—in this case, an addiction to self. For many modern spiritual pilgrims, the simple matter of taking time for daily prayer can become a battle of will excruciatingly reminiscent of that encountered in chemical addiction. Issues of control and willpower, surrender and defeat all rage within the drama of a true spiritual warfare. Increasing numbers of us are discovering that we would rather stay the same than experience the real discomfort that becoming peaceful produces in us. Mediating all the stimuli they receive, the cells of our brains are continually seeking equilibrium, developing patterns of adaptation that constitute what is normal. Thus the more we become accustomed to seeking spiritual satisfaction through things other than God, the more abnormal and stressful it becomes to look to God directly for these. If a person takes a vacation or tries to settle down to pray, the sudden removal of external stress immediately causes the body to generate less stress chemicals. The neurons, having been adapted to high levels of stress chemicals, now react as if something were wrong. They send signals, ironically, of stress to the rest of the body, trying to get things going again. normality, until our new one is established. We are people in transition. Maintain Inner Peace — Simple? Simple! And so I journey on The Way of The Truth, yearning for the living of that which I already possess, The Life. Lord, have mercy — Grant it, O Lord. A certain kind of perseverance bears the fruit of humility and, in due course, mastery. It is, under the guidance of a master, to be willing to do something badly long enough to finally be able to do it well.